Berlin, Germany, 17 March 2016 – Doubling the share of renewables in the global energy mix by 2030 can save up to USD 4.2 trillion annually by 2030 – 15 times more than the costs – according to a new report by the International Renewable Energy Agency (IRENA). 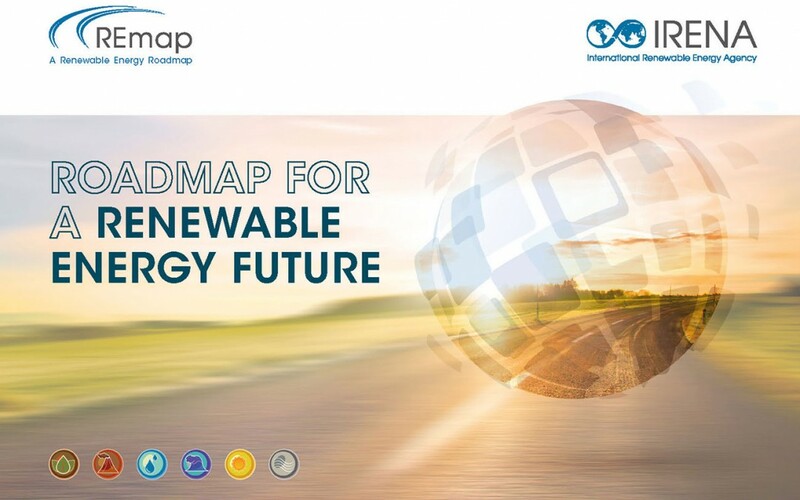 REmap: Road map for a Renewable Energy Future, released today at the Berlin Energy Transition Dialogue, recommends options to boost the share of renewable energy in the global energy mix from just over 18 per cent today, to as much as 36 per cent by 2030. 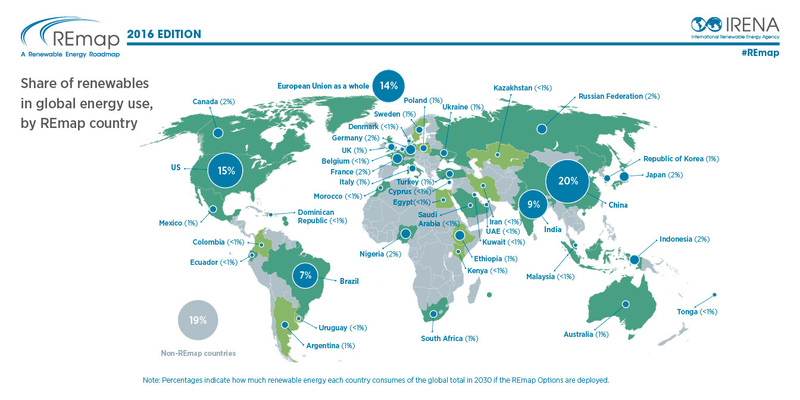 “The energy transition is well underway in the power sector, but to reach global climate and development targets, the next phase will require more focus on transport, heating and cooling,” said Director of IRENA’s Innovation and Technology Centre Dolf Gielen.